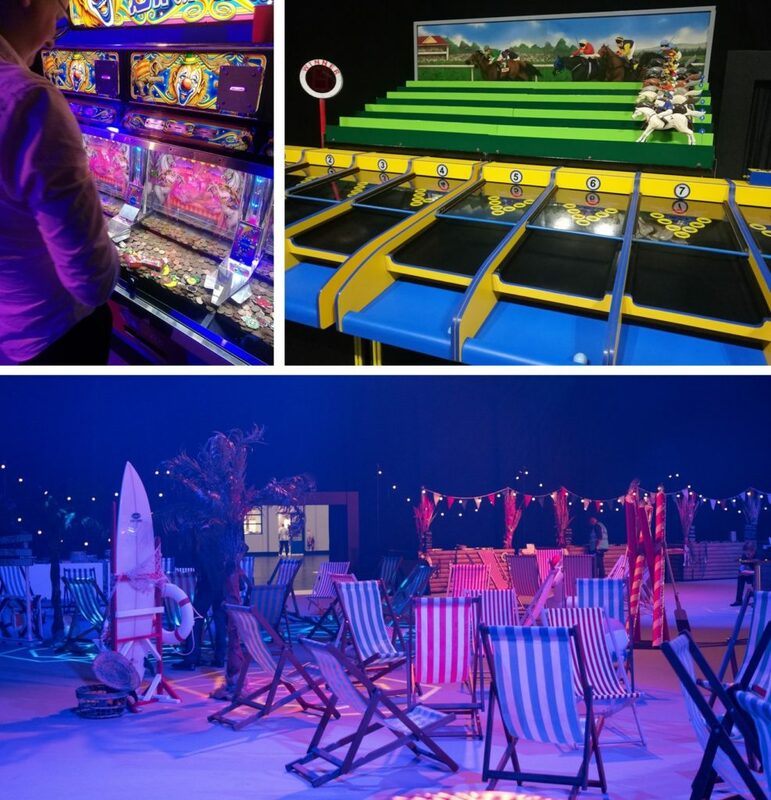 A Day at the Seaside for Conference Dinner - On Event Production Co.
We helped a global financial services provider bring a little bit of sunshine indoors to its invited guests at a recent conference and evening dinner. We’ve worked with our long-standing client on many events, but they wanted to do something a bit different this time, rather than deliver just another event following the standard format. 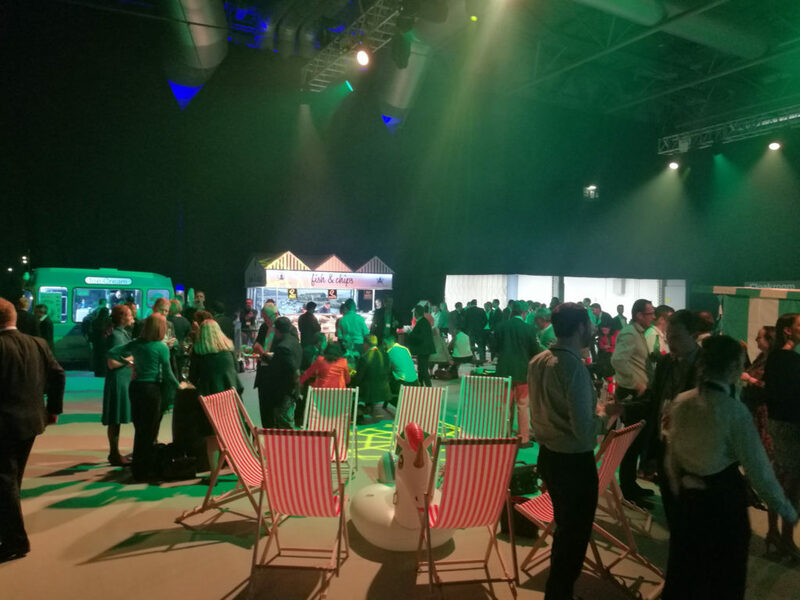 Instead of a formal conference and sit-down dinner, we helped to transform part of the NEC, in Birmingham, into a pop-up beach so that attendees could relax and enjoy an evening of fun and food at traditional seaside attractions. We were tasked with helping to transform part of the huge conference venue into the more familiar surroundings of a seaside resort, so that guests could have a few drinks while networking with friends and colleagues. We created a specially-fabricated amusement arcade area with traditional fairground games hoop-la and hook-a-duck. The space was fitted out with sand and deckchairs to recreate the great British beach, and there were also street food concessions serving traditional seaside fare including fish and chips, ice cream and candy floss. Guy Eaton, our Managing Director, said: “Conferences and award events can sometimes be quite formal, so it was great to be able to get stuck into a really creative brief to deliver something different and engaging, which excited the guests and gave them something to remember.